Bora Aksu is as british as it gets. He has the lightness about his fashion that really good british fashion designers tend to have. 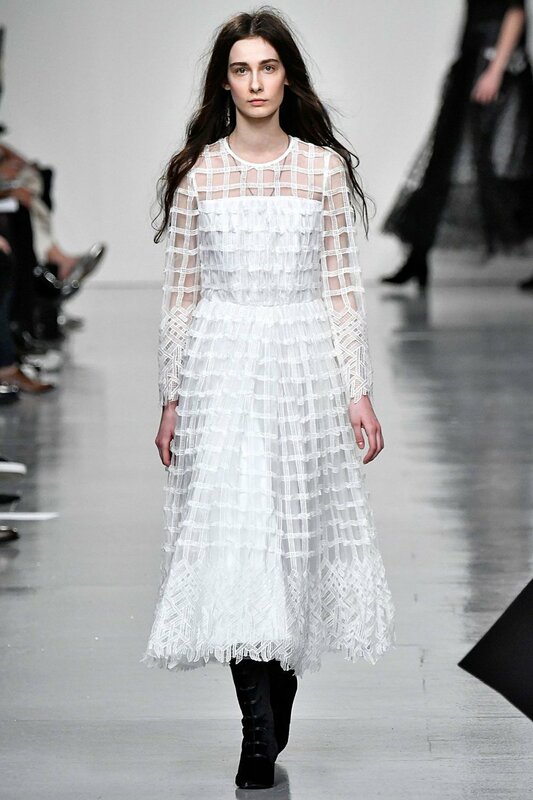 But then there is something more about Bora Aksu that stems from his ability to incorporate patterns and weaving techniques from his native land of Turkey. They pop up when you least expect it. But each London Fashion Week they are there to dazzle you into appreciating his craft and his vision and this fashion week was no different. Bora Aksu's intricate hemlines, couture-esque pattern-ism and embroidery were all on display. If fashion week was a race to the finish line, then Bora Aksu would be a sure bet.